﻿ Homa page - Certyfikacja systemów zarządzania - PCC-Cert Sp. z o.o. Sp. K.
For more details, please visit the section of our website titled “Other”. Thank you. PCC-Cert provides certification to a wide range of management systems since 2001. We take pride in ensuring all of our clients, be it small home businesses or large, international companies, receive a satisfactory service. We remain grateful to all the customers that chose to employ our services – amongst them those that had been with us from the very beginning. PCC-Cert possesses branch offices outside of the country. 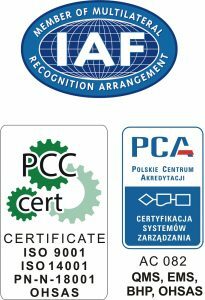 We are constantly expanding and growing, providing certification services also to customers outside of Poland. As a consequence, many companies and organizations from the entirety of Europe can be found on our client referential lists. PCC-Cert is accredited by the PCA No. AC 082 (www.pca.gov.pl). 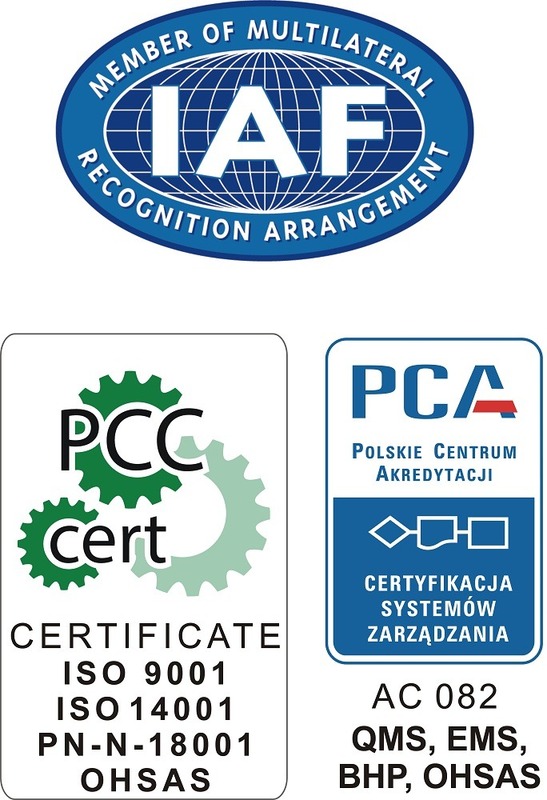 Certifications issued by PCC-Cert are recognized in Europe and the world in accordance to global agreements MLA / MRA (www.iaf.nu; www.european-accreditation.org ), as stated in the rule of „certified once, universally accepted”. Our customers receive certificates bearing the connected trademarks of IAF MLA/ PCA. professionalism, punctuality, flexibility, individuality and fair price. our reports concerning audit records are widely appreciated and respected. for the financing of the Export Development Plan in accordance with the Innovative Economy Operative Program, 2007 – 2013.